While numerous stories seem to appear every week regarding Facebook, the social channel still holds strong as the top social network in active monthly users. On a global scale, Facebook boasts 1.8 billion monthly active users – with 214 million of these users in the United States alone. Although these numbers are staggering, the users that truly matter are your audience, who consists of those who have liked your page or users being targeted through advertising. 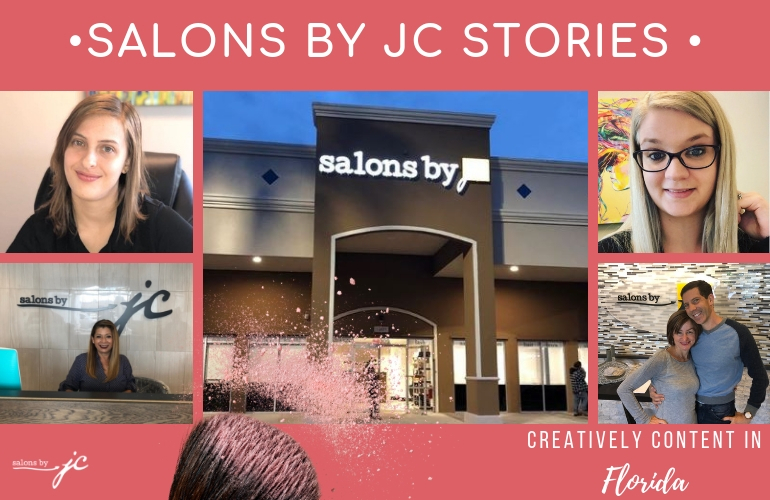 We rely on content to stand out from other businesses and share the unique feel of each and every Salons by JC location. So how can you capture your audience even further? You’re confident in the content and images you’re sharing, but how can you maintain your audiences’ attention? Facebook routinely produces new tools and insights to boost it’s original concept: community. Here, we’ll share 4 tips and tools for you to utilize to reach out to your audience in a new way through likes, comments, and reactions. Facebook polls have been in existence for some time, but you know have the ability to add in more options than just text. Your audience can now vote in a poll with gifs and photos. 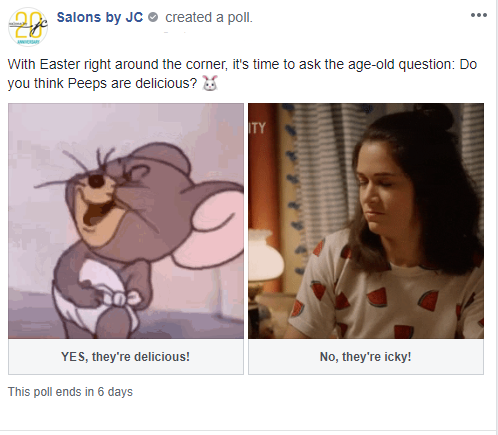 Polls are a unique way of engaging your audience in a variety of ways. It’s quick and easy for someone scrolling on their phone to answer a poll, and most of the time, they’re light-hearted and fun to interact with. Remember, people like to have fun on social media! Below are samples of polls you can use on your Facebook page. Not every poll has to be beauty related. Integrate local events, current happenings, or holidays. 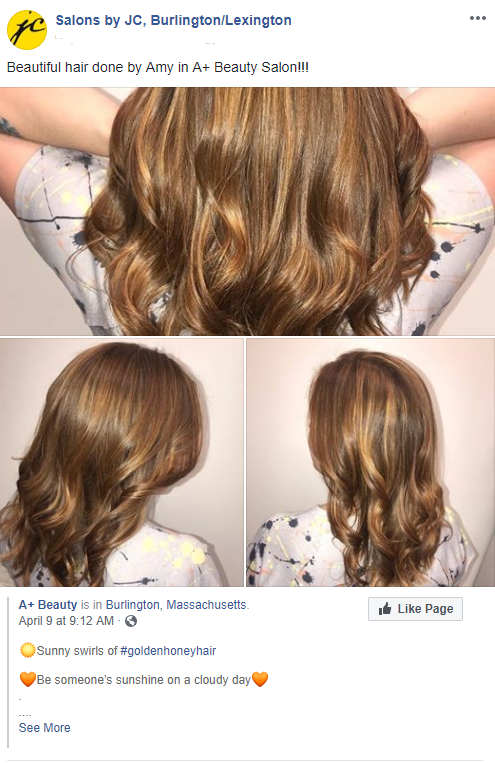 Not only is it easier to weed out spam or fake reviews, but it’s also easier for users to leave photos and quick comments on their Recommendations. If a user browses the Recommendations section of any page, they’ll see which of their friends have recommended the page. As page owners, you still have the ability to respond and interact with Recommendations. You should follow similar guidelines as responding to Google Reviews, and respond to all Recommendations both positive and negative. Responding to Recommendations boosts your credibility to users and allows you to control your brand reputation. Feeling stumped on what to post next? Share, share, share! By sharing posts from another page, you’re increasing engagement for both of your business pages. 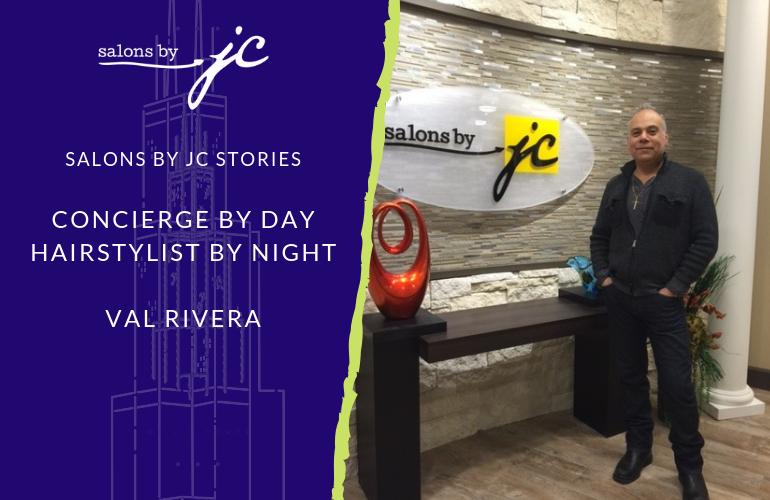 Share relevant content from beauty brands, salon publications, or other Salons by JC pages. 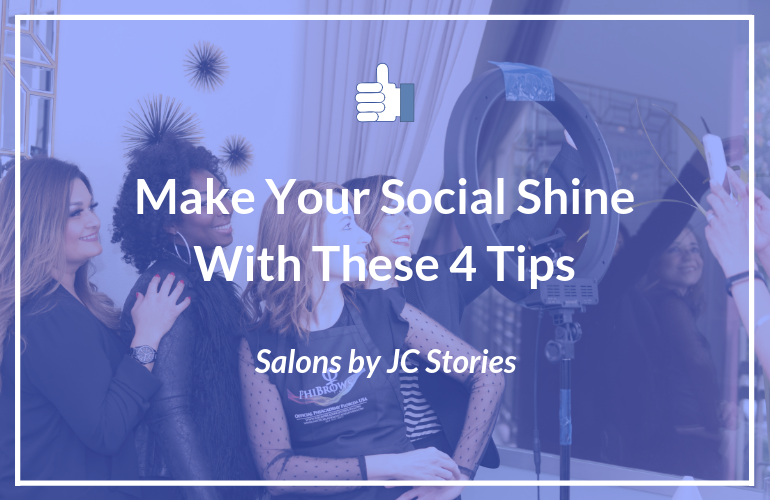 Be sure to include your own caption when sharing a post to create a caption that ties back to Salons by JC. 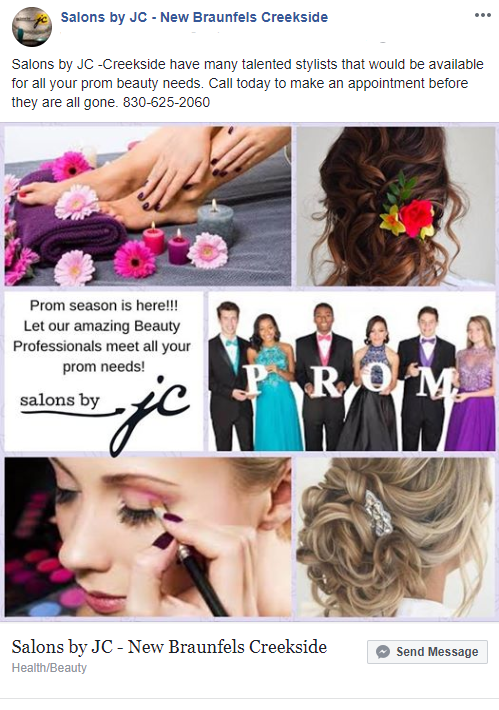 Below are samples of sharing relevant content from Salons by JC Lincoln Heights and Salons by JC Burlington. The commonly used 80/20 rule refers to the type of content you share on your Facebook Page. Your page should consist of 80% Relevant and Quality Content and 20% Promotional Content. This means if you post 10 times a month, you should limit 2 of those for promotional purposes. 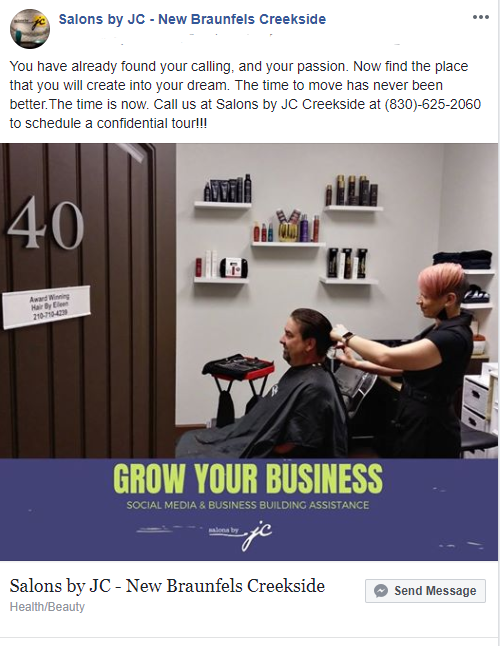 For our audiences, promotional posts refer to posts with the goal of recruiting salon suite owners. 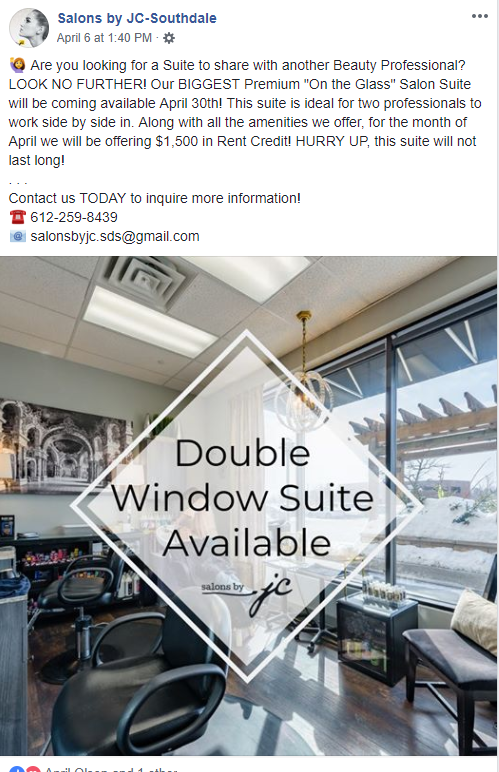 These differ from promotional posts for your suite owners, where you’re showcasing their talent and work. The 80% of your quality content could be a healthy mix of our past blogs, photos of salon suites, local happenings, and client photos. 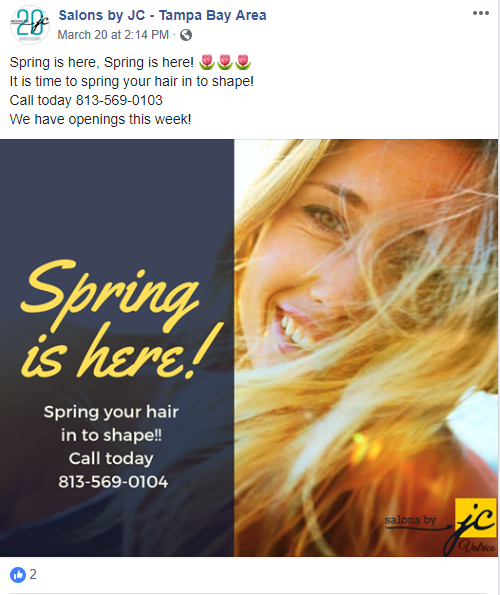 To keep your 20% of promotional posts exciting, incorporate photos of your suite owners and let the photo tell the story. Don’t be afraid of a lengthy caption! 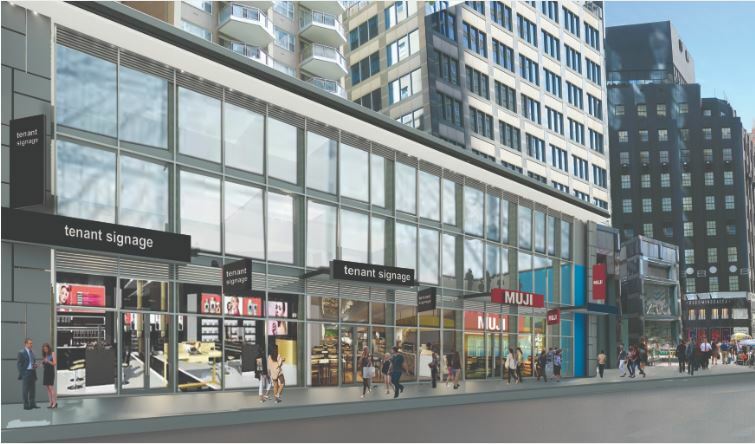 Each photo should tell a story and include one call to action at the end of the post. 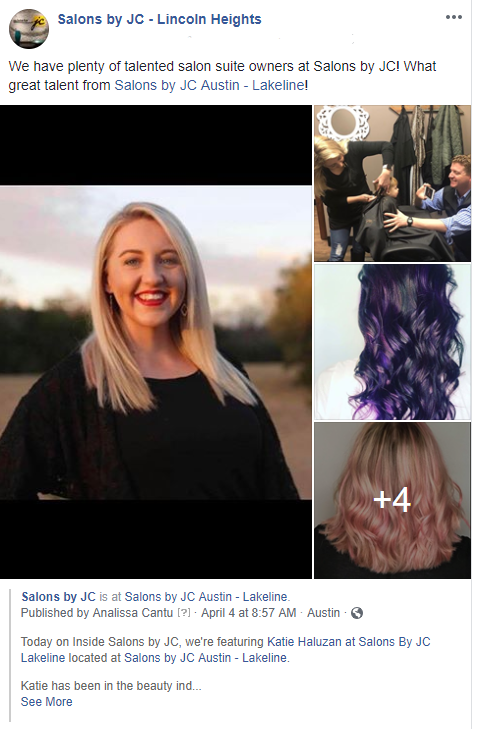 Below are great examples of engaging promotional posts from Salons by JC Southdale and Salons by JC New Braunfels. Always bring value to your audience with your posts and react positively to any comments or messages you may receive to your page. Reward your audience for liking your page by providing fun, engaging, and exciting content. Remember – people turn to Facebook to have fun!